An investment group is paying nearly $4.4 million for the former Quad/Graphics printing plant in Depew, with plans to subdivide the massive facility for a collection of manufacturing and distribution tenants. The sale of the 850,000-square-foot plant on George Urban Boulevard to partners Frank J. Campofelice and Peter G. Wilson closed Monday, said Guy J. Agostinelli, the buyers’ attorney, and Richard Schechter, senior director with Pyramid Brokerage Co., which marketed the property. “They want to redevelop it. It’s a nice property. There’s a lot of nice facilities there, and we want to redevelop them for future tenants,” Agostinelli said. The purchase comes one year after Wisconsin-based Quad/Graphics closed the plant, putting 400 employees out of work. The buyers declined to identify any tenants or say how much of the facility has been leased, but Harper International, a Lancaster industrial firm, has applied for tax breaks from the Erie County Industrial Development Agency for its move into a portion of the building. “We’re ecstatic that it’s been sold this quick,” Depew Mayor Steven P. Hoffman said. Over the years, the plant at 2475 George Urban Blvd., which sits on 65 acres, has operated under the names J.W. Clement, Arcata Graphics, Quebecor and Worldcolor, before being acquired by Quad/Graphics in 2010. In April 2011, Quad/Graphics announced that it would close the plant by the end of that year. The company won a reduction in the plant’s assessment earlier this year, from a market value of $9 million to $7 million, and put the property up for sale in January. 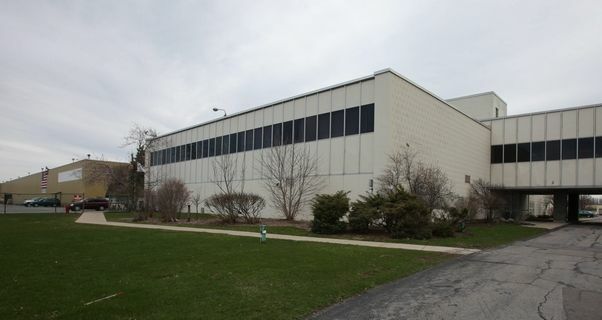 “We had a lot of interest from prospective buyers,” Schechter said, but Quad/Graphics didn’t want to sell to someone who would scrap the facility. The buyers signed a sale contract with Quad/Graphics in April, but the closing process dragged on until Monday. Campofelice, who is president of Burgio & Campofelice, and Wilson, the president of Sonwil Distribution Center, formed an entity named George Urban Associates LLC for the $4.38 million transaction. Campofelice and Wilson have worked together on other projects in the Town of Cheektowaga, including the Walden Commons office park. Campofelice’s family in November purchased the 550,000-square-foot Southgate Plaza in West Seneca for $17.48 million. The new owners plan to make some renovations to the facade of the building, Hoffman and Schechter said. “It’s going to be a very pleasant-looking facility once that’s all done,” the Depew mayor said. The buyers plan to subdivide the complex, and Schechter said it’s his understanding that the new owners have commitments from tenants to take up at least half the facility. However, Campofelice and Wilson told members of the Depew Village Board two or three weeks ago that the entire facility is, or soon will be, filled, according to a person at the meeting. Wilson’s Sonwil Distribution is one possible future tenant, according to a person familiar with the Quad/Graphics transaction. And Harper International has filed an application with the ECIDA outlining its plan to invest $4 million in renovations and new equipment at the Quad/Graphics site, where the company would occupy 175,000 square feet and move its 106 current employees, hiring 16 more within two years, according to Paul R. Leone, a consultant for area IDAs. Harper would purchase its portion of the facility in the first quarter of 2014, and the company is seeking a break on property and sales taxes for the project, Leone said. Harper, a maker of industrial furnaces, is on the move because the company wasn’t able to expand at its longtime location in the Village of Lancaster, where it occupied five buildings on West Drullard Avenue. Harper already has moved out of two buildings the company leased from the VIV LLC partnership, after its lease on those buildings expired in September, and shifted some of its operations to space in the Calspan building in Cheektowaga, spokeswoman Diana Robbins said. “We are looking at the Quad/Graphics building, but it’s certainly not a done deal,” she said. The ECIDA will consider the Harper request at its Jan. 14 meeting, and Hoffman said he supports the subsidies for Harper’s move into the Quad/Graphics building. Hoffman and Cheektowaga Supervisor Mary F. Holtz have been deeply engaged in the Quad/Graphics transaction, and Schechter and Agostinelli lauded the officials’ efforts. Schechter said he worked on the deal with Pyramid colleagues Bill Damin and Dave Seider, along with John Roberson and Dan Haughney of Jones Lang LaSalle, a commercial real-estate brokerage headquartered in Chicago, which referred the listing to Pyramid. Originally published in The Buffalo News, Dec. 25, 2012.